Ever wonder what stem cells are and what they mean for the future of medicine? 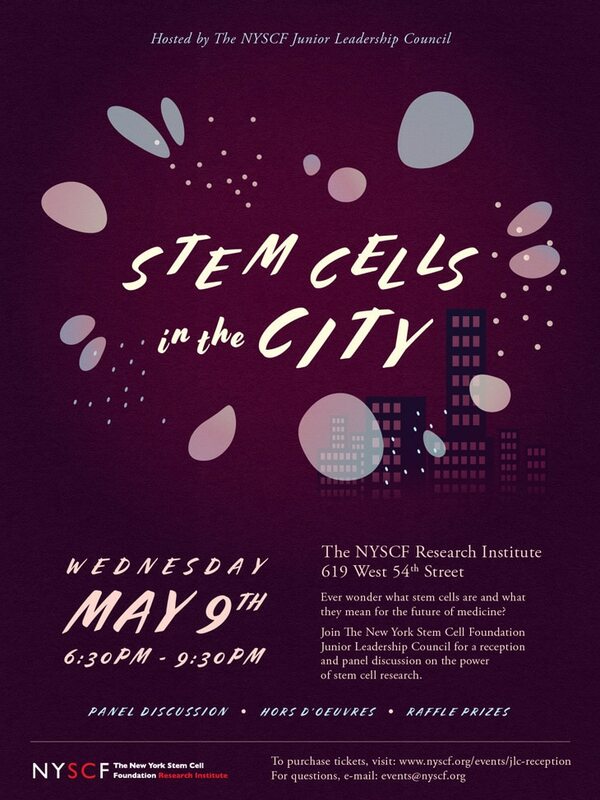 Join The New York Stem Cell Foundation (NYSCF) Junior Leadership Council for a reception and panel discussion on the power of stem cell research and its impact for our loved ones struggling with disease. Hear from NYSCF researchers who are pioneering cutting-edge discoveries and technologies that will lead to a brighter future, so we can live happy, healthy lives. For more information, please contact Ali Kean at 212-365-7425 or events@nyscf.org.